Have you heard the latest Darius Rucker song "The First Time"? For me, it's one of those tunes that just sticks in my head when I hear it on the radio. I especially like the refrain. I took it to heart and did something for the first time. 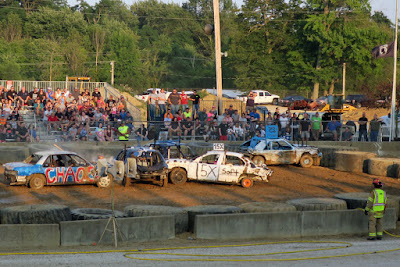 As I mentioned in the previous post, our county fair was this past week. A couple weeks before, I bought our tickets to the Demolition Derby. I had never been to one and wanted to see what all the fuss was about. I started out the evening with another first - a corn dog. I have never had one before and was surprised at just how good it was. It was gourmet fair food, folks! After that, we settled in for the main event. When I bought the tickets, from the seat map I could tell not many tickets had sold. By Friday night, though, just about every seat was taken. The event started out with the National Anthem (no kneeling!) 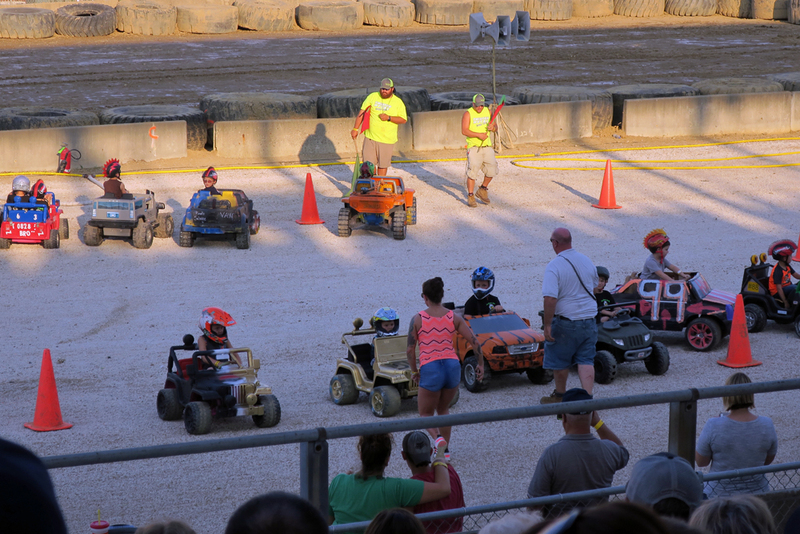 and then the kids "derby" was held. It looked like herding cats, trying to get a dozen little ones in their battery operated cars to the starting lines. But, what a hoot once they started! Then the main event commenced. The precautionary fire fighters took their spots and the front loaders positioned huge tires around the perimeter. 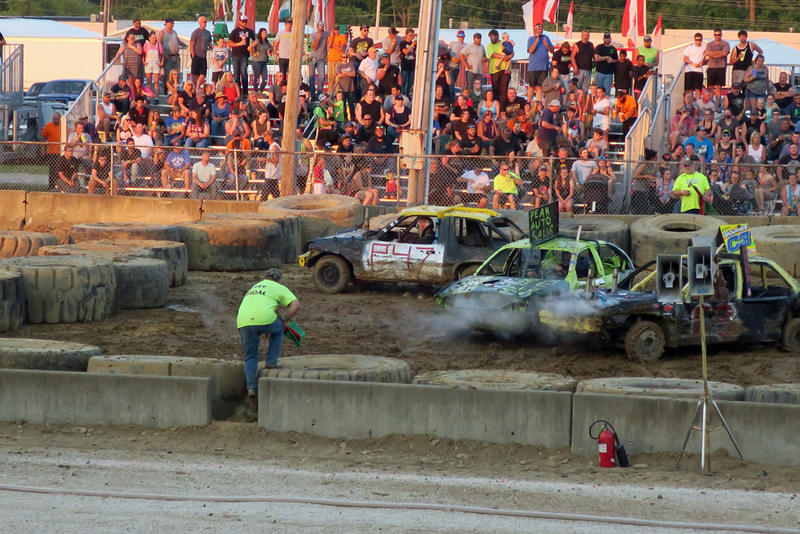 In multiple heats, cars that looked like they shouldn't be able to move at all took the field and went at it. Bumpers, if they still had them, fell off. Axles broke and smoke spewed. 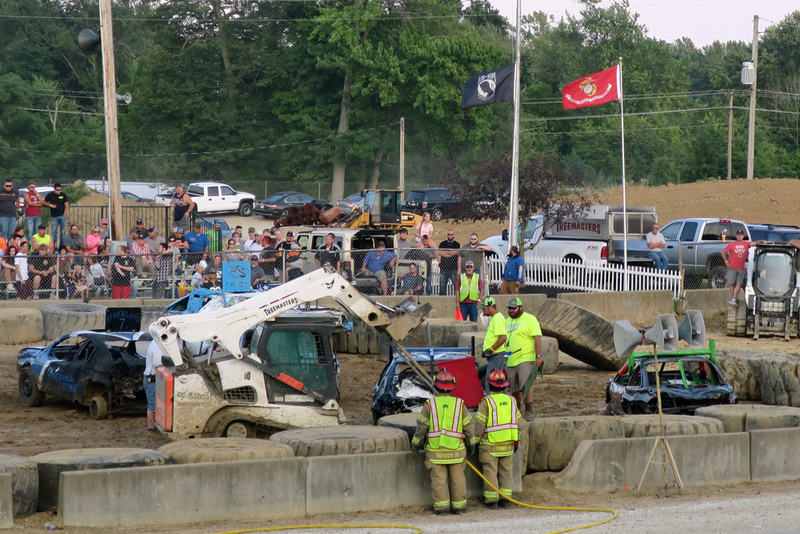 Most of the cars were hauled off by front loaders. 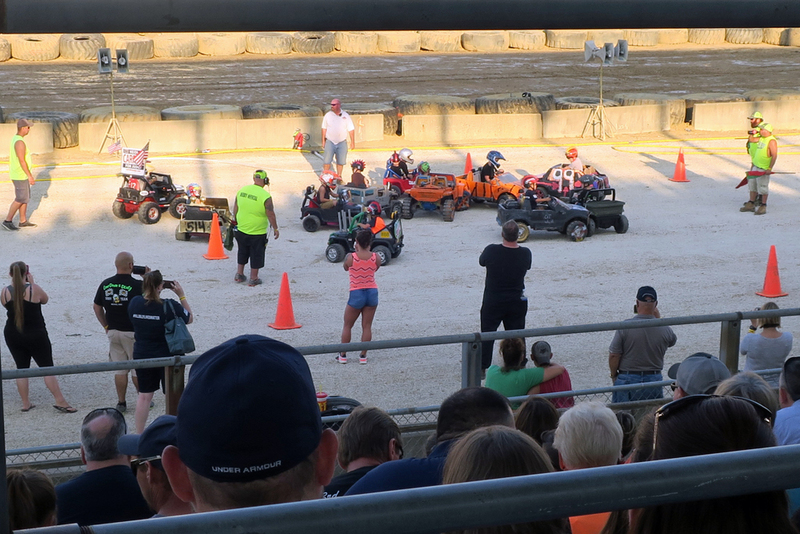 The few that lasted each round moved on to the final heat. Holy cow, it was fun! You want to know something? I can seeing giving this a try. How did you make it this far in life without a corn dog? :o) I made salsa for the first time this week. Not near as much fun as the fair, tho!